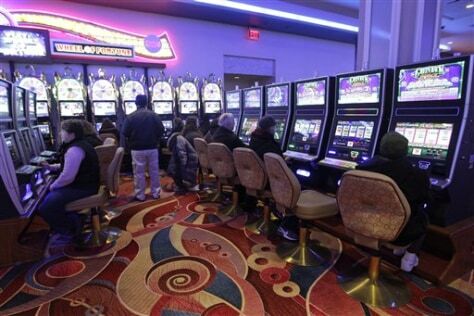 Gamblers play slot machines on Jan. 4 at the Resorts World Casino at the Aqueduct Racetrack, in the Queens borough of New York. New York Gov. Andrew Cuomo wants to build the world's largest convention center hotel at the New York City racetrack as part of his push to expand gambling in a bid for more state tax revenue and jobs.